Generally, when a musician makes a semi-ballyhooed return to a sound that’s synonymous with a degree of early success, it could be seen as returning to what works and rejecting artistic growth. 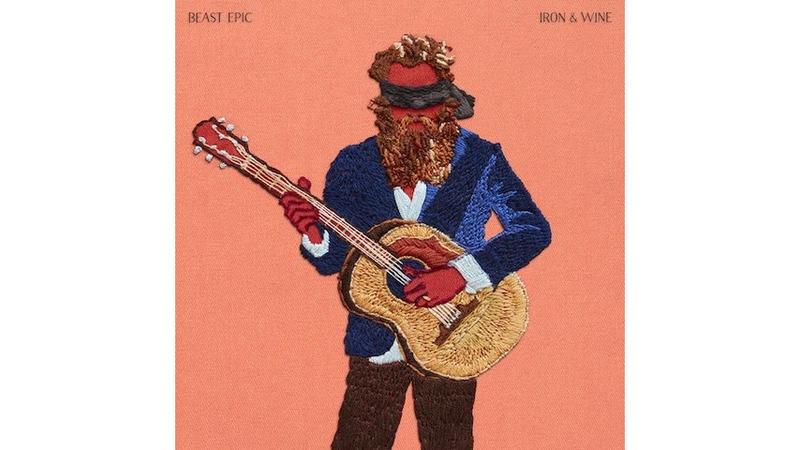 On Beast Epic, Sam Beam’s sixth album recorded as Iron & Wine, he rolls back the years without waving the proverbial white flag. Maybe that is something to do with the fact that in the years since leaving his first home at Sub Pop Records, Beam has been tweaking, experimenting and carefully crafting a bolder, expansive sound. In the past four years alone, Iron & Wine has worked on collaborative records with Ben Bridwell of Band of Horses and a covers album with Jesca Hoop. The back-to-basics, stripped down approach allows Beast Epic to evoke warm feelings that marked his first two records. The result is a collection of breezy indie folk songs that have the warmth of a solitary drive on a two-lane rural highway. Unlike a victory lap that marks the beginning of the end of one’s career, this record is a reinvigorated Iron & Wine. The understated beauty of Beast Epic’s lyrics — like most Iron & Wine albums — is Beam’s sharp lyrical exploration. As is his wont, Beam adds an extra layer of depth, earnestness and emphasis on character development and perspective. The gentle acoustic guitar of “Summer Clouds,” the uptempo, funky plucking of “About a Bruise” and frantic strings of “Last Night” compare favorably to earlier Iron & Wine material. Though it doesn’t have the same DIY, lo-fi sound that endeared him to folkies in the first place, a higher, clearer resolution suits this collection well. Sure, not being to incorporate horns and strings may have left the sound a little less full, but it doesn’t effect the album in any fashion. This isn’t to reject the full sound of horns that populated the more recent Iron & Wine albums. Beam is more comfortable when it’s him on guitar and recorded in a live setting with minimal overdubs. While Beast Epic doesn’t delve as deep or as dark of places like the outstanding Our Endless Numbered Days and The Shepherd’s Dog, Beam’s confidence as a storyteller and songwriter takes a long look within, and is where he shines. Having been releasing music for the better part of the past 15 years, Iron & Wine has managed to weave back to a familiar place relatively seamlessly. A confident album from an artist who isn’t afraid to merge the past and present, Sam Beam continues to audibly demonstrate why he’s one of the most gifted songwriters of his time. It’s the little moments, like the subtle blast of solemness on “Claim Your Ghost,” that are clearly demonstrate Iron & Wine isn’t ready to head down a nostalgic path quite yet.